The Easter Bunny will be on the hop next week with 11 NSW race meetings during the holiday period. 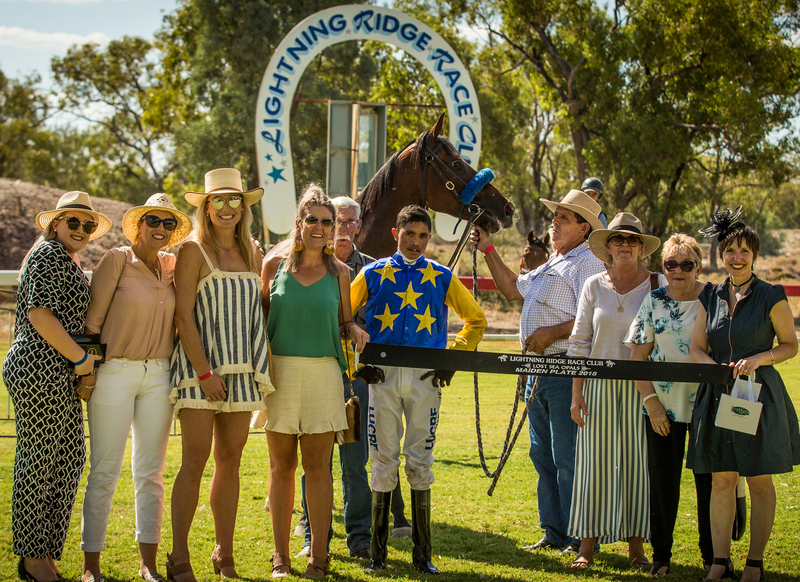 Lightning Ridge Race Club’s Easter Saturday meeting is a highlight with some fabulous opals part of the raceday trophies for winning connections. “We have a whole new committee organising the meeting this year and it will be massive,” said LRRC’s Angus Remond. “The Easter Festival is big up here and starts on Good Friday night with the rodeo. “On Saturday there are market stalls with food, fashion and opals, and continuing entertainment from 8am. “Then on Saturday afternoon our races kick-off with gates opening at 12pm, then on Sunday more market stalls, pig races and a float parade. “Total prizemoney is $62,000 for the meeting plus opal pendant trophies with the feature race, the Dale Bruce Memorial Race plus the famous Opal Bracelet. “We’ll have cash prizes for the most successful trainer and jockey on the day, a Fashions on the Field sponsored by Wilgunyah Merino from Dirranbandi and kids’ entertainment. Back O’ Bourke Picnic Race Club stages its annual meeting on Easter Sunday. Up until 2015, Bourke had not raced for over a decade but with a lot of hard work, community support and generosity from sponsors, the Club was able to hold the Harry Hart Memorial Raceday on Easter Sunday 2015. “This day fetched in excess of 3000 people and has been described as one of Bourke’s best racedays,” declared Sarah Barton, the Club’s manager. “Our meeting coincides with the Back to Bourke Easter Festival weekend which attracts many to our wonderful town of Bourke. “This year will be a little different due to the drought conditions around the district, but we hope that our day can provide a little social interaction and a break for those suffering and feeling the impact of this tough, long drought. There are jockey and trainer incentives, a $3500 Fashions on the Field and after-race entertainment from Ell Regan. Other races include the Splashe Cola Harry Hart Memorial Cup and Bourke Bowling Club Handicap. A courtesy bus will also be running. Shoalhaven City Turf Club will also be racing at Nowra Racecourse on Easter Sunday. “We will have a visit from the Easter Bunny, live entertainment, a jumping castle for the children. And an Easter raffle with great prizes,” said SCTC’s CEO, Lynn Locke. Muswellbrook Race Club will present its Lone Pine Charge Raceday on Easter Monday. “On the day we will have some Light Horses leading out the field in the Lone Pine Charge,” said MRC’s GM, Duane Dowell. “The perpetual trophy for this race is quite unique, being an 18 Pounder Artillery Round. The three features are the $27,000 Lone Pine Charge (open), $27,000 Star Kingdom 2yo Hcp for colts and geldings and the $27,000 Miss Finland 2yo Hcp for fillies.